Imagine spending time with family and friends in the bush at only a short distance from home. 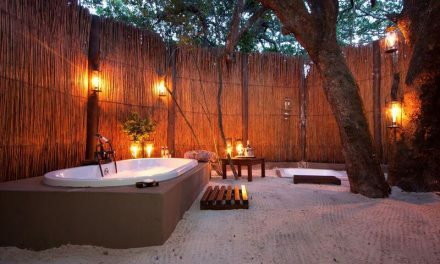 Situated in the magical, malaria-free Waterberg area in the Limpopo Province, Kololo Game Reserve offers you a bush adventure you will never forget (at only 3,5 hours from Johannesburg and 2,5 hours from Pretoria). Because it combines peace and tranquility with space and natural beauty. On the reserve, safe game roams free. That means you can see them from the veranda of your chalet or whilst walking or biking on the marked tracks. By yourself or with one of the experienced rangers. And through our private gate we then take you into Welgevonden Game Reserve, home to the Big 5. Welgevonden measures over 34.000 ha and is truly beautiful with a diverse landscape and many species of birds, planes game and other animals such as cheetah and hippo. From the comfort of your safari truck, you enjoy the views, spotting animals and taking in the stories of the ranger. And, of course, there is time for a drink and snack, out in the open. This year the hotel launched, 24 new Mountain View guestrooms and suites, a new 20m pool area and a larger health spa. These spacious rooms offer upgraded amenities, beautiful views and are ideal for families with inter-leading rooms and two, two bedroomed suites with kitchenettes. The new 20m pool offers plenty of space to cool down from the Zululand heat. 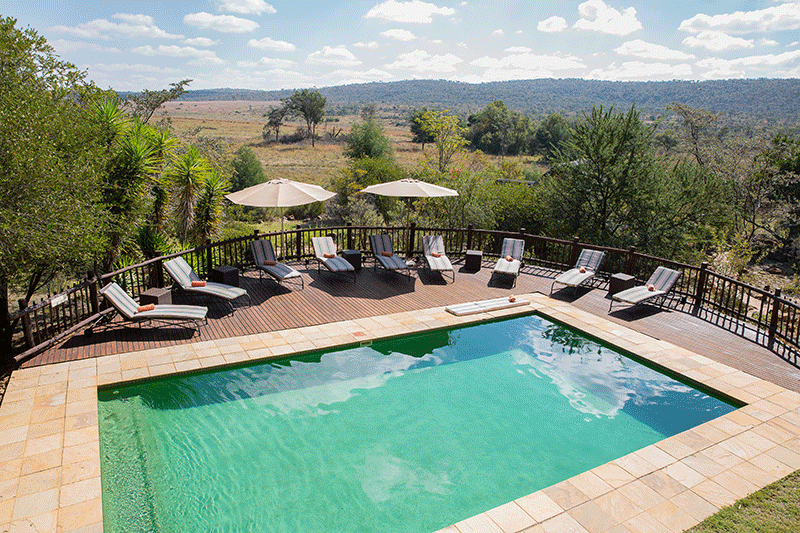 The deck and pool bar is the ideal place to spend lazy holiday days or to unwind after a morning game drive or boat cruise with Ghost Mountain Safaris.